Tiny Homes for the Homeless—In Your Backyard? For some, a “tiny home” is a lifestyle choice, an alternative to the burden and societal impact of the typical single-family dwelling. 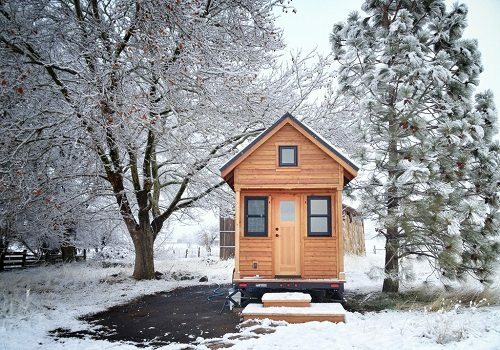 According to the website The Tiny Life, “People are joining this movement for many reasons, but the most popular reasons include environmental concerns, financial concerns, and the desire for more time and freedom.” For those concerned about the number of individuals and families living on the streets, tiny homes are an affordable way to provide temporary shelter and transitional housing. Tiny shelters can be placed on small, unused sites. They can be built quickly and inexpensively, and they provide a base for other services and an overall environment that’s better than SROs, shelters, or tent camp cities. Elsewhere in Nashville, Infinity Village offers temporary shelter in 60-square-foot buildings that, according to Good Housekeeping, feature “a single door and window…a Murphy bed, mini fridge, and heating and air conditioning.” Just this week, approval was granted for a similar effort in Denver. The Colorado Village Collaborative—an organization that includes Denver Homeless Out Loud, the Interfaith Alliance, Bayaud Enterprises and other groups—requested the zoning permit to build the project…eleven 8-foot-by-12-foot shelters, as well as communal kitchen, bathroom and shower facilities, on land leased from the Urban Land Conservancy.